Oh you guyyyyys. This cake. THIS. CAKE. You may have seen maple walnut ice cream, maple walnut cookies, or maple walnut… walnuts. 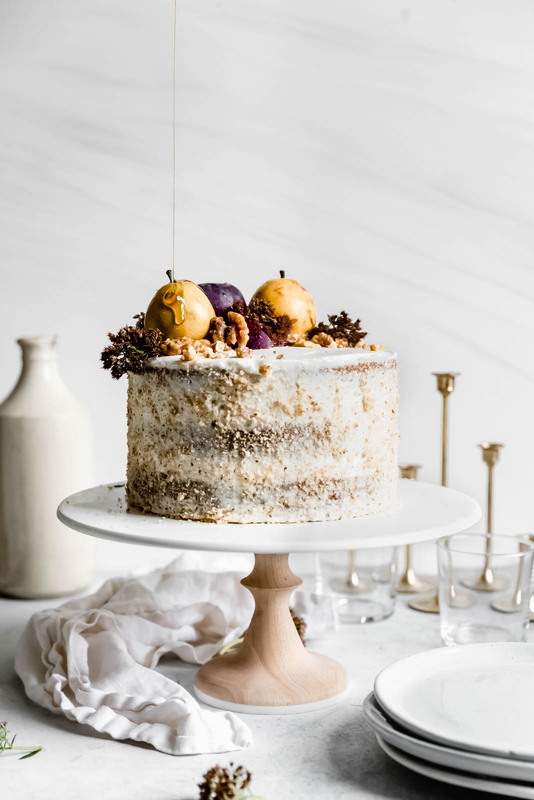 But have you ever seen a maple walnut cake? OK for those of you who are saying you have, you’re just too cultured for the rest of us. This maple walnut cake, for me, was a first. I flavored the cake with real maple syrup and walnut puree, which together made this cake SO moist OMG. 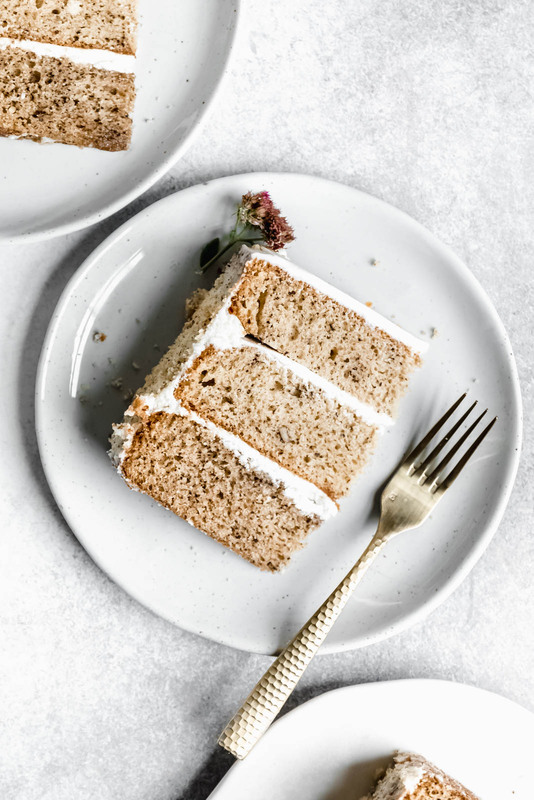 We kept this cake in the fridge after I made it, which is like a cake’s worst nightmare because it can become dry and cold and sad, but even so this cake stayed soft and moist for days. I just love wintery layer cakes. There’s something so fun about them. Maybe it’s because you get those warmer flavors amidst a fairly sweet cake. 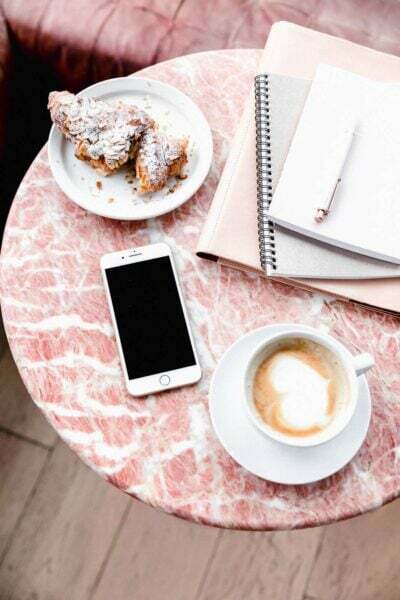 Maybe it’s because #winterdiet is a real thing and I just really crave cakes in the winter. Or maybe it’s just because wintery layer cakes are really delicious. I also really love using nut meal, or pureed nuts, in cakes. They help not only with moistness, but also with flavor and texture. I’ve done a few cakes with almond meal so far, but creating my own walnut meal was awesome. 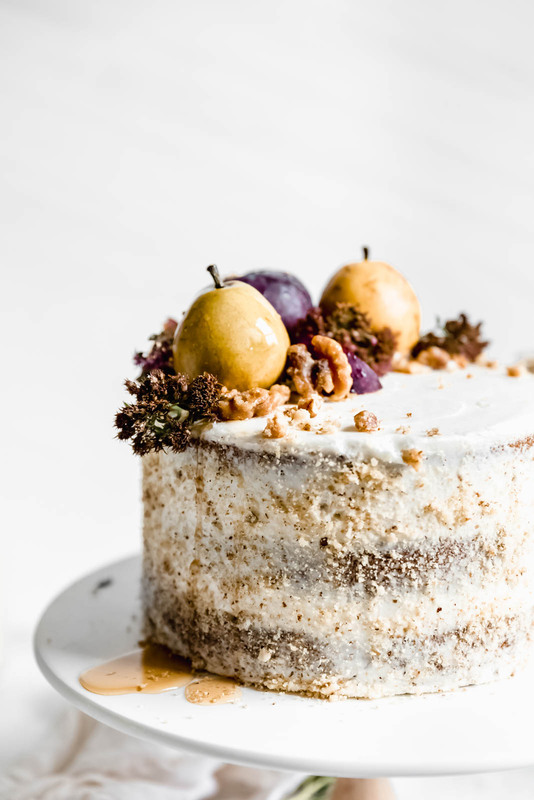 Walnuts are soft and high in fat, so they easily blend into a meal and really elevate the cake. Also obviously I used my go-to flour, Bob’s Red Mill Unbleached All-Purpose White Flour. 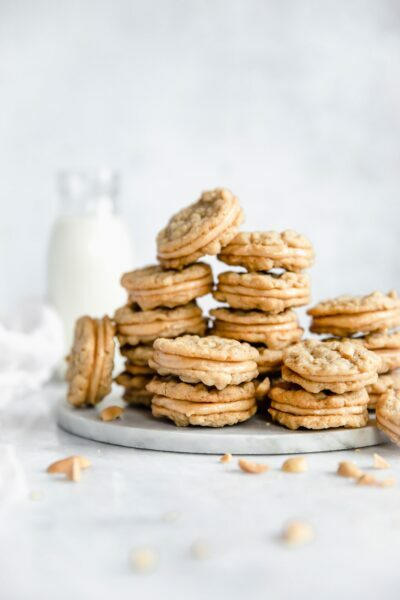 It’s really the ultimate all-purpose flour: it makes for the softest breads, chewiest cookies, and moist scrumptious cakes. Use raw walnuts — Make sure the walnuts you’re pureeing are raw and unsalted. 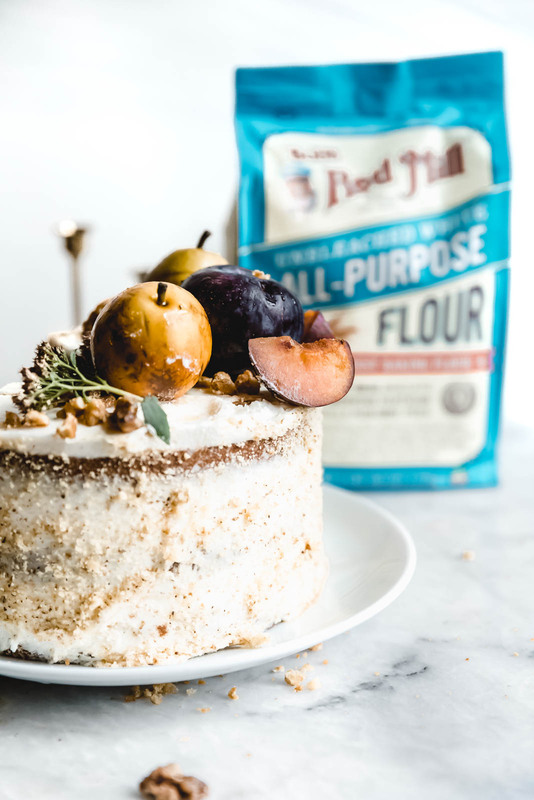 Using salted walnuts would totally throw off the flavors of this cake, so double check that you’ve purchased the right kind. You can make 2 or 3 layers — Depending on what size cake pans you have on hand, you can make either a 2 or 3 layer cake. If you’re using 6-inch pans, you can squeeze 3 layers out, and 8-inch pans will make 2. The bake time will vary slightly if you use the larger pans, but I’ve shared the baking times for either size pan in the recipe card below! Don’t overdo it on the maple flavoring — Unlike vanilla extract, you really do need to measure out maple flavoring. If you add too much or try to eyeball it, your walnut cake might be a little overpowering. 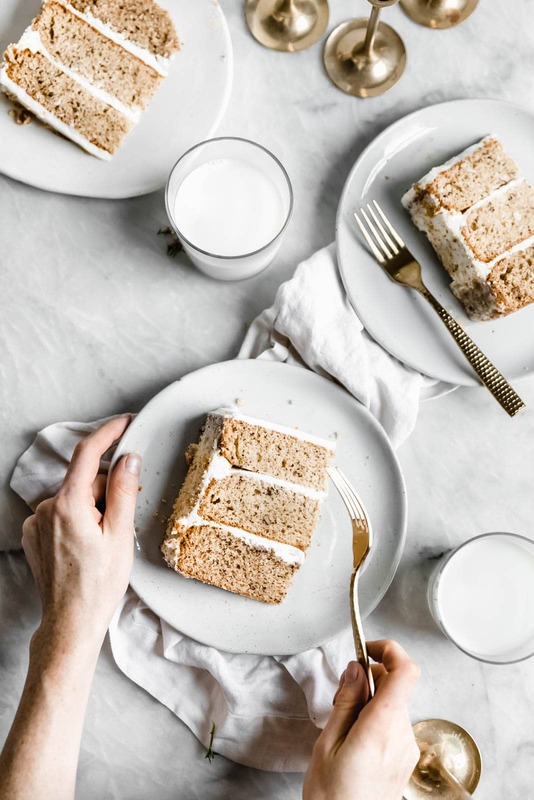 Use room temperature ingredients — For the best bake, make sure all of your ingredients are room temp before adding them to the maple walnut cake batter. And the butter and cream cheese must be room temp as well, otherwise the maple frosting won’t whip up properly! I kept this maple cake fairly simple in terms of decorations. Its rich brown color makes it the perfect candidate to be a naked cake! I simply stacked the layers with plenty of maple frosting in between, then spread a thin layer of frosting on the top and outside of the cake. I made extra pureed walnuts and decorated the sides of the cake with that, but you definitely don’t have to do this step! 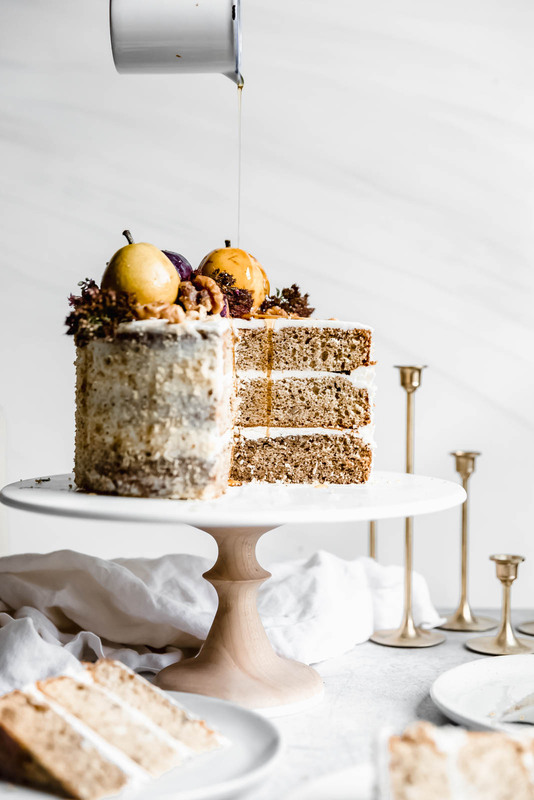 If you have seasonal fruit in your house, go ahead and stick that on top (but again, this cake would also be a showstopper with just the frosting, so don’t feel the need to overcomplicate things). Happy cake making, people! YAY! 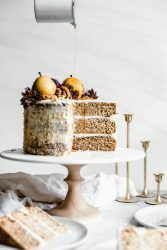 That oh-so-delicious combo of maple and walnuts makes its way into a moist layer cake in this Maple Walnut Cake with Maple Frosting. Preheat oven to 350°F. Grease and flour either three 6-inch cake pans or two 8-inch cake pans and set aside. In a large bowl, combine the oil, brown sugar, maple syrup, buttermilk, eggs plus yolk, maple flavor, vanilla extract, and salt. In a separate bowl, combine the flour, baking soda, and baking powder. Incorporate the dry ingredients into the wet, stirring until well combined. Fold in the pureed walnuts. Evenly pour the batter into the prepared pans. Bake for 20-25 minutes for the 6-inch cake pans, or 25-30 minutes for the 8-inch cake pans, then allow to cool completely before frosting. 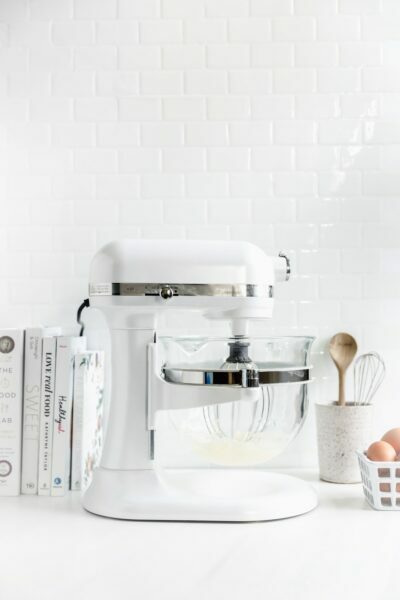 In a standing mixer with a paddle attachment, cream the butter and cream cheese until light and fluffy, about 2 minutes. Add in the maple extract, vanilla extract, salt, and powdered sugar and whip to combine, about 1 minute more. Place the first cake on a plate, then top with a large dollop of frosting. Layer the second (and third, if doing 6-inch layers) layer, frosting in between each layer. Finish by frosting the outside of the cake with the remaining frosting. Oh yes ! Mr. Cake is it ! Ooh — and the decorations on top make it a thing of beauty!